If you want to see how big they get visit the Eden project, in the tropical house they have a chili bush the size of a tree! 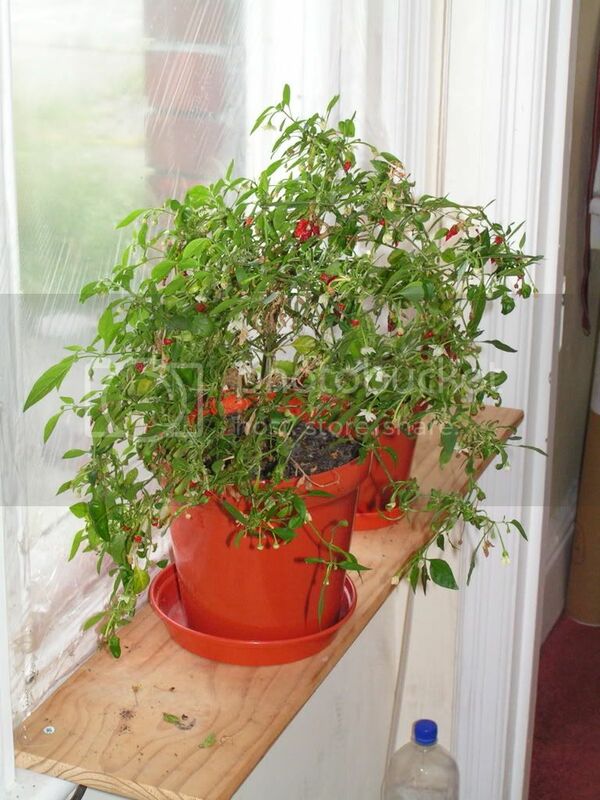 They are technically perenials, if you can get them to survive the first year they seem to settle in to the environment, didn't give them artificial light as they get enough through the windows, once winter really sets in they stop producing flowers and fruit though. The victorians used to have boxes on the outside of the greenhouse with vents leading in and rotted their manure in the boxes to keep the temperature up over the winter, eco-friendly and you have well rotted manure to dig in! I just make sure they are fed and kept warm bu sitting them on top of my fridge which is by a south facing window, one of my chili plants is three years old in June and still producing more than I can eat! All GM trials have to be posted on the DEFRA website by law, the only way they can be secret is if people don't bother to keep an eye on the website! According to wikipedia London and Birmingham are signed up. I ended up not turning the lights back on again once I'd got the candles nicely positioned! Just to reassure folks, we have much tighter controls in the UK than those referred to in the link Martin supplied. was a little concerned reading the e-petition as it's remit would also deny diabetics insulin as that is produced via genetic modification of bacteria! If it's a warm office then dragon plants do well, buy the fruit from the supermarket and save some of the seeds.